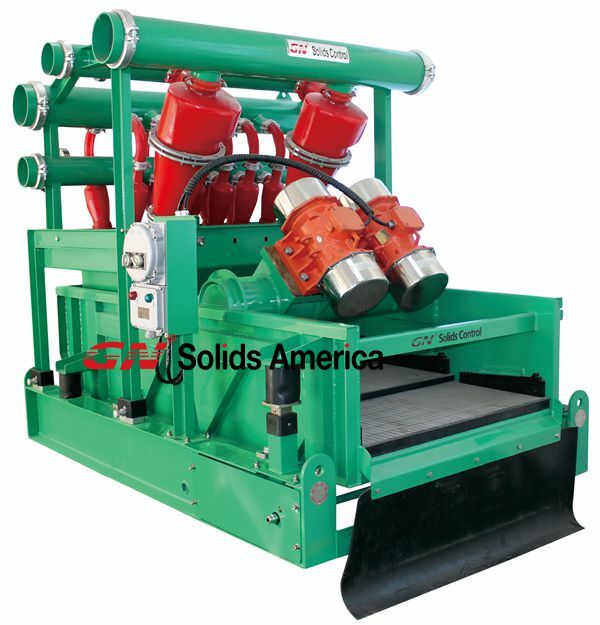 The correct installation and use of hydrocyclone mud cleaner can filter unwanted solids from the mud to achieve controlled velocity. 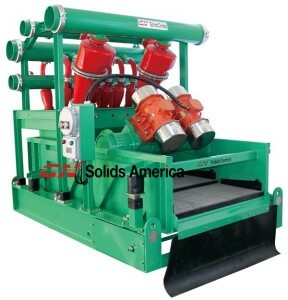 It is important to use mud cleaner properly to ensure the quality of treated drilling mud. The correct position of hydrocyclone mud cleaner for whole mud system is behind shale shaker which filter large solids at first step. The drilling mud prior enter the hydrocyclone must be processed through shale shaker first. Check the power source and once motor is start, check direction of rotation of the motor rotate in correct direction. When the feed liquid pressure equal to the rated pressure, turn off the valve on the overflow tube, make the tubular value of the overflow pipe is 0.01-0.03mpa. When the feed pressure below the rated pressure, adjust the valve on the over-flow, make the tubular value of the overflow pipe is .0.02-0.05mpa. For every 500 operation hours, the machines need regulator maintenances by checking moving parts and replace parts as necessary. For every 4000 operation hours, the machine needs overhaul by doing maintenance list above and replace the hydrocyclone and check that insulation of electrical parts of the machine. Why now have big discount, is it in good condition? Pingback: Why now have big discount, is it in good condition?